Deadspin's Better State of Living Conversation series is brought to you with the support of State FarmTM. 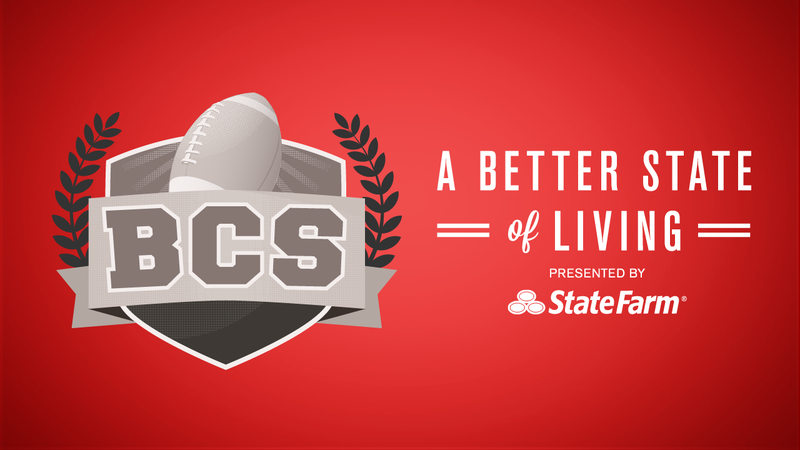 Today, college football expert Tim Hyland is live in the comments to answer all your questions about the 2012 BCS season. One of the strangest college football seasons in recent memory ended last weekend with some truly unexpected, out-of-left-field developments: Notre Dame going from unranked in August to No. 1 in November, Gene Chizik going from national champion in 2010 to the unemployment line in 2012, USC going from a preseason national title contender to a 7-5 also-ran, and Johnny Manziel going from complete unknown to Heisman Trophy frontrunner. There was more, too. So very much more. There was Mike Leach's stormy first season at Washington State (but we should have seen that coming), there was the ridiculousness of the Bobby Petrino saga at Arkansas (ditto) and there was the even greater ridiculousness of John L. Smith's short-lived tenure serving in Petrino's stead (ditto). There was West Virginia's red-hot start (anyone remember when the Mountaineers were in the Top 5 and Geno Smith was the leading Heisman candidate? Yeah, me neither) and then there was West Virginia's horrible finish (after starting out 5-0, Dana Holgorsen and crew lost five straight, mostly because they are utterly incapable of playing defense). There was the typical and inevitable BCS November chaos — Alabama getting knocked off by Texas A&M, Oregon getting knocked off by Stanford, Kansas State getting knocked off by … Baylor? And there was plenty of talk about what might have been for Florida and Oregon and K-State, if only college football had a playoff system. Throughout this amazing college football season we've seen top players suffer horrible injuries (South Carolina's Marcus Lattimore, Penn State's Mike Mauti) and we've seen seemingly immune coaches lose their jobs (Chizik at Auburn, Tom O'Brien at N.C. State). We've seen underrated teams take enormous strides forward (Kent State, Utah State, San Jose State, Northern Illinois) and we've seen supposed powerhouses underachieve horribly (Texas, USC, Virginia Tech). We've also seen more conference realignment madness, as Rutgers and Maryland pledged their futures to the Big Ten (as a native of Ohio, I still can't wrap my mind around that one), while Notre Dame (kinda-sorta) joined the ACC. I've been writing and talking about college football for more than 15 years now (as founder and editor of IntelligentCollegeFootball.com, college football writer for About.com and contributing writer for SB Nation, as well as host of the TCFA Podcast), and I honestly can't recall a stormier, more eventful, more surprising season than this one. It has been, in a word, crazy. So with the conference championship games right around the corner, it's a great time to both look back on the incredible season that was and discuss all the football that has yet to be played. That's why I'm here to chat with you guys about the 2012 college football season — and all of its insanity —right now. Ask away!